Willowbrook administrators will post information about emergency drills, snow days, and other related information here. 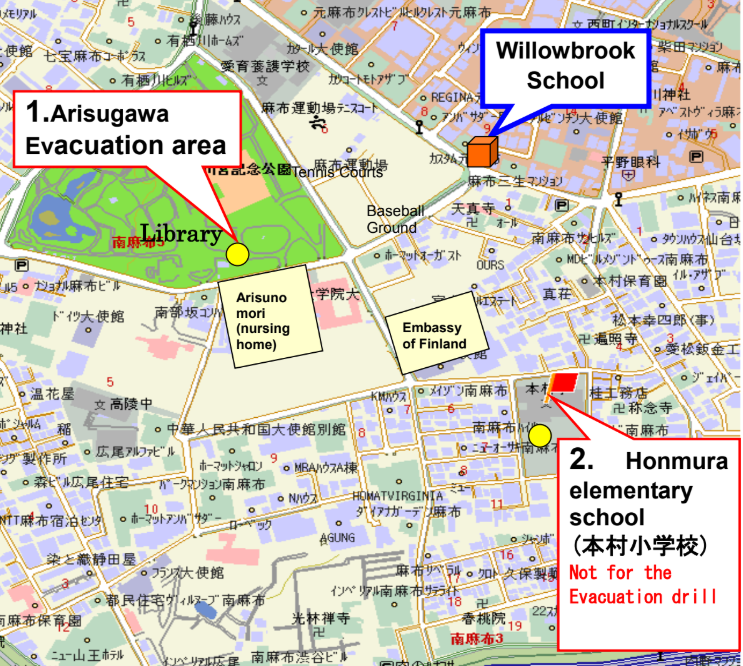 As a reminder, our emergency evacuation location is shown on the map below. Meet us at the grassy area in front of the library in Arisugawa Park; the alternate location will be Honmura Elementary School.